No, I didn’t realize that I wanted to be a writer until a few years ago. That said I was always a reader and had many moments of feeling wistful about what it might be like to be an author. I just never really connected the dots. I think because it can take us out of our own lives and help us to see things from other perspectives. Also because it’s a great form of escape. I have too many favorites to name just one, but if pressed I always go back to The Lion, The Witch, and the Wardrobe because for me growing up this was the equivalent of what Harry Potter is to kids today. Pure magic. 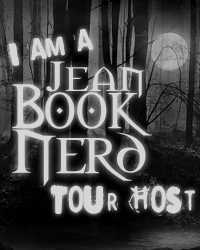 In your book; Gated, can you tell my Book Nerd community a little about it? It’s contemporary thriller about a girl named Lyla who has grown up in an isolated development with a community of people who are convinced that their leader knows when the end of the world is and are preparing for it. But the closer that they get to the last days, the more that she begins to have her doubts not only about the end, but about the community’s leader. For those who are unfamiliar with Lyla, how would you introduce her? She is a pretty sheltered teenager who would much rather sketch and paint pictures than engage in target practice and other end of the world activities. She’s observant and smart and much tougher than she thinks she is. Right now I am working on revising GATED’s sequel which I can’t really talk about without being spoilery. I can tell you that it picks up a few months after where the first book leaves off and that all the characters still living at the end of GATED appear in it. How’s that for being completely nonspecificJ I’m kicking around some other ideas too, but haven’t completely committed to one just yet. I will say that some of my preliminary research has involved things like exorcisms, contagions, and urban legends, but that all of what I’m working on is firmly rooted in the contemporary genre. I’d introduce Pioneer to Mr. Pennywise from Stephen King’s IT. He deserves to be terrorized after what happens in GATED. That sounds kind of horrible of me, doesn’t it? But don’t feel too sorry for Pioneer. Something tells me that he would be able to hold his own…at least for a little while. That he really, really loved Lyla. Not because Pioneer told him to, but because he just always saw her as someone special. It made me feel sorry for him. He’s just so lost and yet so earnestly trying all the time. Out of all the characters he’s the one that really brings out my maternal side. I want to take care of him. How much do you weigh….unless I’m about to bungee jump and divulging it will keep my chord from snapping in two. Then it’s truth all the way. Follow your gut. This sounds easy, but really it’s one of the hardest things in the world to do when it comes to your writing because it’s easy to be insecure about your abilities and people have such strong opinions about what will make them stronger. If you’ve got good gut instincts you can keep the advice that jives with who you ultimately want to be as a writer and the kinds of stories you want to tell and lose the rest. It didn’t last all summer, but once I got hired with about twenty other people to do inventory for a local department store while the store was closed for the night. It was a one night gig and we literally worked from midnight to morning to scan all the items in the store and double check them on a master list. I worked with my best friend and if I remember correctly, we weren’t the most accurate scanners/counters. His name was Scott. I was fifteen and he was I think eighteen. He was the son of a family friend. I’d known him for a while before we decided to go out. I remember thinking I was pretty cool because he was older and had a nice car. I seem to remember him asking me out while a Billy Ocean song played in the background. If you’re an eighties chick like me you’ll know it. “Get Outta My Dreams, Get Into My Car”. At one point he sort of sang it to me. It was with Scott and it did not go well. Mostly because I was not ready for the tongue to come at me. I had these overly romantic notions of what it would be like and it was not that way at all. Not his fault, he was a perfectly fine kisser, but I was traumatized. Poor boy, afterwards I told him that I wasn’t allowed to kiss anymore until I turned sixteen. That I don’t love them back. I am the world’s worst at that. Just writing the words makes me cringe. At the beginning of the summer. My kids were fighting like cats and dogs and all I could think is eleven more weeks of this? Ugh. It would have to be the eighties or nineties. I love the glamour of the thirties and the fifties are intriguing, but I wouldn’t want to grow up in either. I like living in a time when women have more opportunities. But I’d love to go back and visit those other decades for a few days. Oh this is going to sound so corny, but being a published writer is my greatest adventure. The contents within Amy Christine Parker's debut novel, Gated, consists of all things that most people are fascinated about. Although cults are perceived by the media as brainwashing communities whose leaders seem to only care about themselves, this world that is unknown to most of us certainly sparks intrigue. Readers are introduced to Lyla who, along with her family, have taken refuge from the wake of 9/11 in Mandrodage Meadows. Pioneer is the leader of this community and has promised his people a way to escape the evils of the world. To carry this out, he has placed a tight lid in Madrodage Meadows. This means no outside contact, whether it be in person or through a television or on the internet. Pioneer is the ultimate power and exercises it by controlling the people's lives. Gated certainly has all the elements to attract readers as it takes them into a fascinating story about a girl trying to break free from a corrupt society. Author Parker cleverly captured Lyla's will and determination to escape the clutches of Pioneer's tight grip. But it also exposes her fear and lack of experience due to having a clouded trust in Pioneer. What gets the book really going for me is all the mystery behind Pioneer. His motives are unclear. His beginnings are also a big mystery and how exactly did he convince an intelligent group of people to leave their lives behind and be confined in isolated Mandrodage Meadows? As the sheet that is covering the truth is slowly pulled, Lyla begins to realize that her world is nothing but a lie. Parker's writing brings horror and fascination at the same time as she describes Pioneer's unheard methods to maintain control over a person's trust only to break their will. He is sick in the mind and uses censorship of the media to create his own explanations of the world's natural disasters of 2011 to provide proof to his people that the world is ending. He is the epitome of a sociopath whose intention is to bring people down to his own advantage. As much as a terrible and evil-minded person Pioneer is, he is absolutely hypnotizing character. Gated is a thriller that will drag you to the edge of your seat and at times, it will shockingly shove you to the point of falling off. Just like how a cult leader gives fascination to his followers, Parker's writing is full of it. She knows exactly how to make her story convincing and provides amazing thrills. The plot's build-up is perfect as the pace gives readers all the necessities to tie-up all loose ends. Parker has managed to take this chilling story into uncharted territories and provides a theme that many readers will find themselves coming back to. Thank you AMY CHRISTINE PARKER for making this giveaway possible. 1 Winner will receive a Gated Swag by Amy Christine Parker.